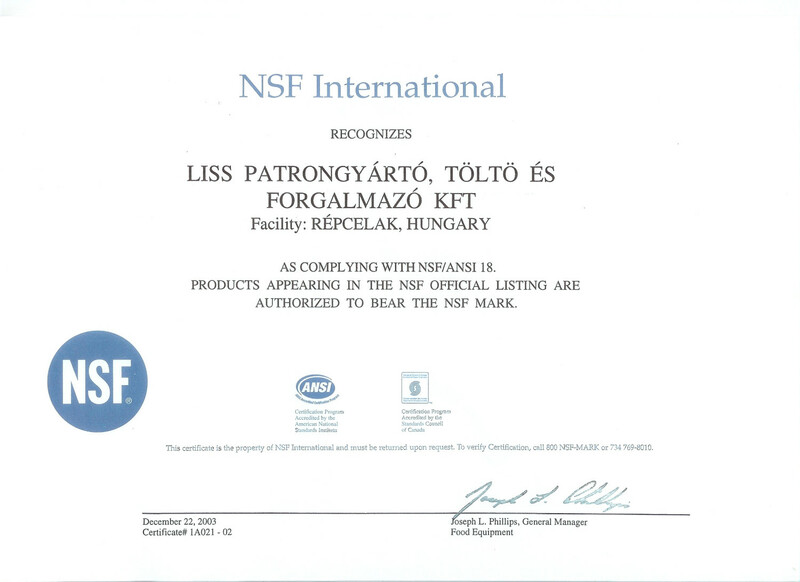 We are a Worldwide Leader and supplier of Whipped Cream & Carbonated ProductsWholesale Cream Chargers are a World Leader in compressed gas propellants and technologies for food and drink applications.Our certificated products are manufactured in Europe, Taiwan and China and are probably the highest quality and best value availableOur customers include leading Multinational and localised gourmet Chains, wholesalers and specialist suppliers of chefs, bars, restaurants, coffee shops, prefer to use our Cream Chargers, Whipped Cream Dispensers to meet satisfy their demands for fresh whipped cream and our Soda Siphons and CO2 cartridges for carbonating water, beer and inflation use for tyre inflators, automobile airbags and fire extinguishersWe value our customers and their demands for the highest quality products, service and prices and we ensure we go the extra mile to exceed their expectationsExperience our experience by contacting us with your questions and requirementsWe are only as good as the people we work with and we aim to make you the best ! 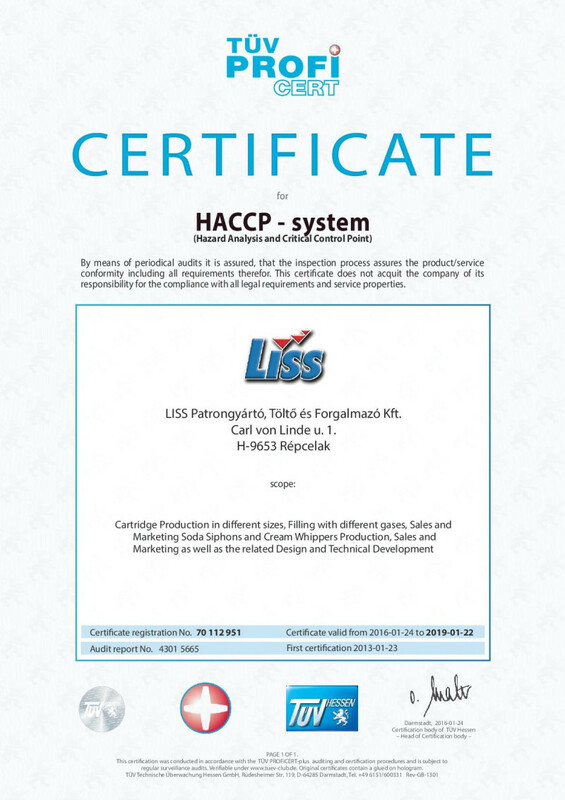 The product was tested above on a voluntary basis and complies with the essential requirements. 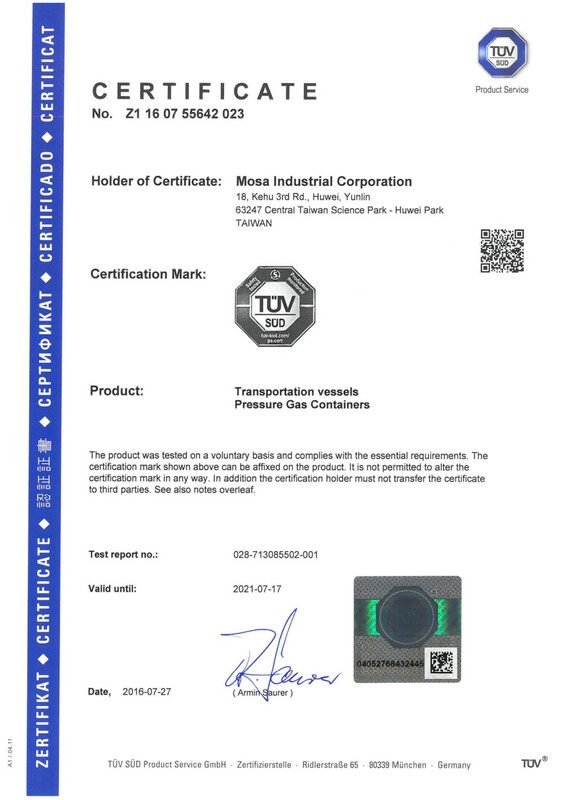 The certification mark shown above can be affixed on the product. 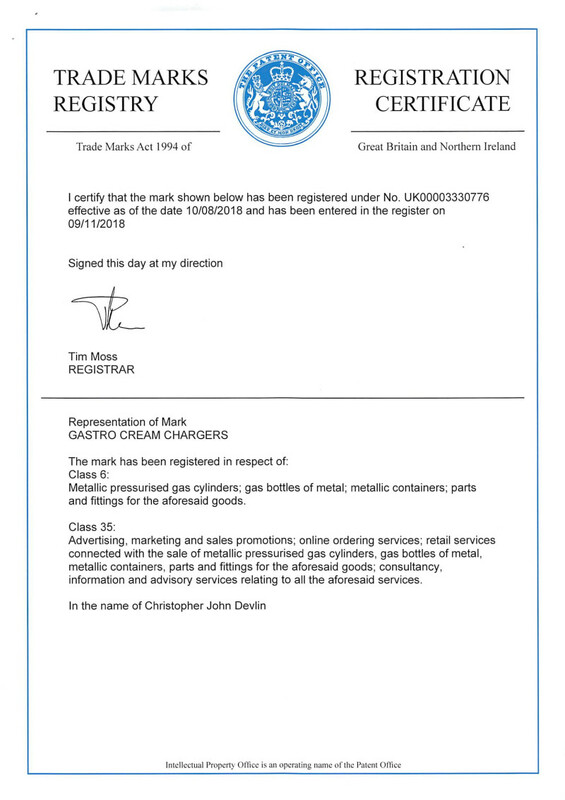 It is not permitted to alter the certification mark in any way. In addition the certification holder must not transfer the certificate to third parties. Cartridge production in different sizes, Filling with different gases, Sales and Marketing Soda Siphons and Cream Whippers production, Sales and Marketing as well as the related design and Technical Development.